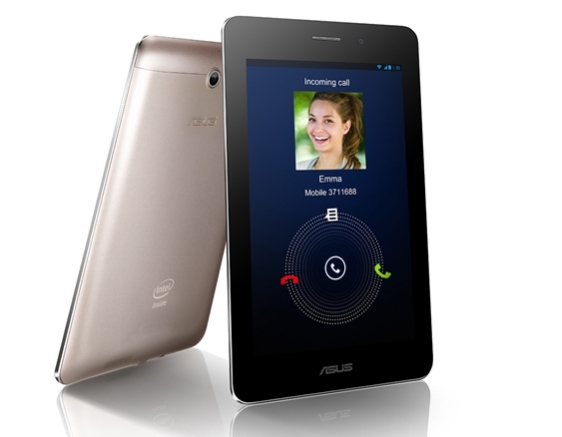 Asus officially launched its new tablet 'FonePad' at Barcelona’s event. 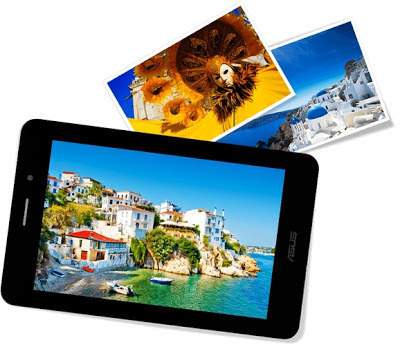 It is a Mid range tablet priced at $249 (Rs. 16,105). The design of this Tablet look like a smartphone. Its Stunning 7-Inch metallic finish design fit in your palm. It is a 3G enabled tablet. FonePad will available in US markets on March and in Europe markets on April, Currently the price and launching date in India is not announced. FonePad come with 7-Inch LED Backlight WXGA touchscreen with 1280x800 pixel screen resolution and IPS Panel technology. It runs on Google's Android 4.1 Jelly Bean operating system and it powered by 1.2 GHz Intel® Atom™ Z2420 processor and 1 GB RAM. It's PowerVR GC540 Graphics Processor Unit features high quality graphic performance when playing games or watching videos. FonePad available in 16 GB and 32 GB variants and external memory support up to 32 GB via MicroSD card slot, company also offer 5GB Life Time ASUS Webstorage Space. FonePad sports 3 Megapixel autofocus rear camera in addition to a 1.2 Megapixel front facing camera and it built in with High quality Speakers with SonicMaster Audio technology and Maxx Audio. It has a 16Wh Li-polymer rechargeable battery, battery give up to 9-hrs back up time. 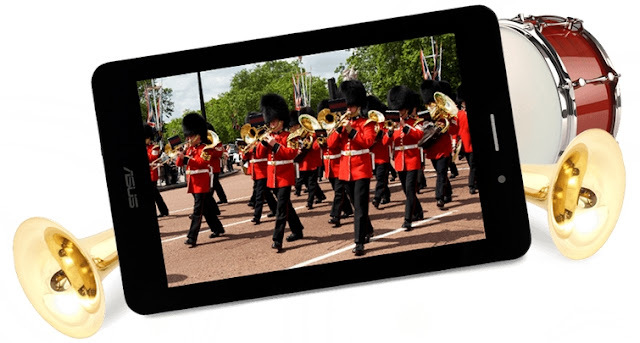 FonePad features connectivity facilities through 3G HSPA+, EDGE, WLAN (802.11 b/g/n), Blurtooth (v3.0), Micro USB, 2-in-1 Audio Jack (Headphone / Mic-in), and GPS. FonePad available in two color variants Titanium Gray & Champagne Gold .Dimension of this tablet is 196.4 x 120.1 x 10.4 mm (LxWxH) and 340 gm weight. The tablet pre-loaded with Asus Launcher, MyLibrary, File Manager, Kindle , Zinio, SuperNote Lite , App Backup, App Locker apps. Asus also launched a smartphone named as PadFone Infinity at Barcelona’s event.